For Children aged 9 and over, please look at our Teen page! Looking to spend some quality time with your kids but not sure how to do it in the most memorable and fun way? City Nights Disco has been providing professional DJs and children’s disco for hire for over twenty years. The experience we have gained over this time has made us experts in children’s entertainment. We can provide a DJ and personalised disco for you and your loved ones that is perfect for the attending kids. In fact, we divide our party offerings by age group to make sure we send the right sort of children’s disco entertainers for your guests. Hampshire, Berkshire, Surrey, Buckinghamshire, Oxfordshire, London, Middlesex and Hertfordshire. Let us worry about the fun so you can enjoy the party yourself – we promise to keep your children at any party or disco event we do thoroughly entertained for the whole time we are there! 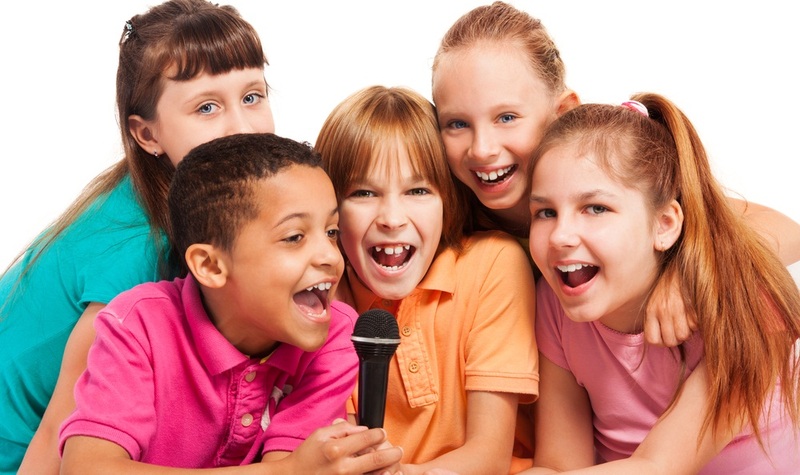 What Makes Our Children’s Disco Entertainers Stand Out? The frequency with which parents comment on how pleased they were with our DJs never ceases to amaze us! The most common response is that in their previous experiences, “The Children’s Party DJ just stood there and played some music.” WE ARE DIFFERENT! City Nights Disco’s professional DJs use their extensive experience of doing youth parties to create a lively and energetic atmosphere for your children, from start to finish. We organise games, competitions and activities, as well as hand out spot prizes. We interact fully with the children, always being approachable & friendly. We’ll play their favourite music and even demonstrate some of the moves to the songs we’re playing! The key factor is that our Children’s Disco Party DJs enjoy working with kids. If the DJ is having fun, how can the Children resist joining in? At a City Nights Disco children’s disco, we interact fully with the children, always being approachable and friendly, playing their favourite music, and demonstrating some of the moves to the songs we’re playing too! What sets us apart from other party providers is that our children’s party DJs enjoy working with children – if the DJ is having fun how can the children resist joining in? By keeping the children thoroughly entertained, we ensure that they are happy and involved so that you can relax and enjoy the party too! Every disco we do is totally individual, and designed to meet your child’s requirements. ……all included in your quote! Our events really are tailor-made to suit each party. Simply tell us what you do or don’t want, regarding ANY aspect of your disco. It takes a certain type of DJ to get involved and do a Children’s disco party properly. We do NOT just come along and play some music in the hope that the kids will run around and have a good time. What Type of Music Can City Nights Disco Offer for Children’s Discos? We’ll gladly accept a music playlist from you, as well as take requests at the party from you or our young guests. Our DJs will work closely with you to design the perfect, individualized playlist to suit your needs. Our aim is to personalise the disco in every respect. The only thing we’ll ask you to provide will be some prizes for us to give out. You can spend as little or as much as you like on prizes, but a multi-bag of fun-size Mars-bar type sweets (or similar) is sufficient. Prizes are a sure-fire way of keeping the children’s attention throughout any party. You may also organise a pass-the-parcel game for younger children up to six or seven years old as a fun game – this is a guaranteed hit with the younger ones! Large (easily visible), name badges are also a good idea in helping us give your party a more personal touch. This way, we can talk to and also present any prizes or announce any winners using the children’s own names. With the right music, lighting, special effects, entertainment and games to suit ANY age, we will cater to your individual tastes to create an event not easy to forget. We have vast experience working with pre-teens, and we guarantee to get your children’s disco party just right! Children’s disco hire at affordable prices, personalised in every way to create your perfect party. Our prices include a Professional DJ, a high-quality sound system, a full light-show and any or all of our array of special effects, and we’ll play your very own choice of music too! Click here for a Quote for your Party, or follow this link to see what our previous customers have been saying about us. Thank you so much for the superb children disco you gave Natasha yesterday. She had a really wonderful time. At school this morning many mothers came up to say their children thought it was the best party they had been to! Thanks for the great children disco! A really big thank you to you for the excellent DJ you sent to entertain at my daughters party. We all had a great time!